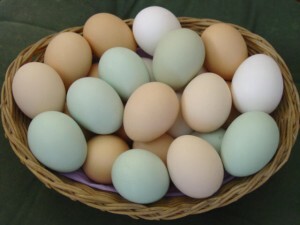 There are many people who avoid eating eggs because they believe that eating eggs can increase the risk of heart disease. A recent study done by Harvard researchers have proved that having an egg a day does not affect your heart. For their study, the researchers studied the impact of eggs the health of about 115,000 men and women. At the end of the research, the researchers concluded that eating an egg a day does not increase the cholesterol levels. Also, researchers did not find any short-term or long-term risk of coronary heart disease in people who ate one egg every day. The participants of the study included about 790,000 nurses that were aged 34 to 59 and whose medical history was followed for 14 years. The study also included about 36,000 males that included pharmacist, dental assistants and other healthcare professionals. One of the main causes for problems in the heart is high cholesterol levels in people. The cholesterol increases the fatty deposits in the body that blocks the arteries which can lead to stroke and other heart diseases. To reduce the risk of heart problems, people should not consume more than 300 mgs of cholesterol in a day. Since one large egg has about 213 milligrams of cholesterol, most nutritionists are of the view that people should not have more than 1 or 2 eggs a week. However, researchers at Harvard noted that egg contained several nutrients that helped in reducing the negative effects of cholesterol. Some of the nutrients that an egg contains include amino acids, unsaturated fats and vitamins. Researchers further added that good cholesterol that is present in eggs helps in preventing the formation of fatty deposits in the arteries. Eating egg also helps in reducing the harmful effects of carbohydrate-rich foods that increase the blood sugar levels. Sunday ho ya Monday …..roj khao ANDE….